A more aesthetically pleasing look for your home. See our amazing before and after photographs. Read reviews from your area. See other jobs in your area. Wood windows give your home a classic, elegant look. They also offer exceptional insulating capabilities, a high level of durability, minimal maintenance and simple repairs. Our wood windows brands include Pella, Marvin and Andersen. Vinyl windows are available in multiple colors and textures that work in harmony with the aesthetics of your home. Current vinyl windows are energy-efficient and can be custom-made in just about any shape and size. We carry Alside vinyl windows because of their beauty, low maintenance and energy efficiency. Fiberglass windows provide a number of advantages, including durability. Siding & Windows Group is proud to offer the industry’s top brand: Integrity by Marvin. 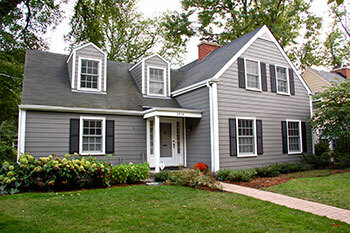 Why Choose Siding & Windows Group? When you need a Glen Ellyn window contractor, choose the top vendor in the area for window installation: Siding & Windows Group. Why do so many customers choose us time and again? We’ve been in business for 30 years and have a 100-percent approval rating. We’re bonded and fully licensed, and we’re recognized as an industry leader for siding replacement, window replacement and remodeling. We’re consistently recognized across the industry with honors from GuildQuality, Angie’s List and many others. We partner with Synchrony Bank to offer you great financing options like 0-percent interest for 12 months. We guarantee our workmanship and products. When you want to beautify your home with replacement windows, our skilled installers are ready to assist you. For additional information and to schedule your free in-home consultation, please contact us at (847) 251-4200. I was most satisfied with the quality of the material and the workmanship. And the people were very friendly and very professional. I was very happy with it.